As promised, here’s my proposition for a different Goblin, a better Goblin. Because regardless of whether or not Goblin and Reaper had better chemistry than Kim Shin and Ji Eun Tak, there’s no getting around the icky power dynamics here. He’s an ancient supernatural being, she’s a high school student who was told she’d be the Goblin’s bride since she was 9. She even calls him ahjussi for goodness sake. She might be the only one who can remove his sword and “kill” him, but that’s not enough to balance the scales. Especially since she’d never have a chance to do it if he didn’t let her. He is so clearly an adult and she is so clearly a high school student. It’s not OK. Better to focus on the stronger – and more equal – chemistry between Goblin and Reaper. By tweaking just a few significant parts, the core of the story is more or less unchanged. We have all the same characters and the same basic plot. The loveline is instead between Goblin and Reaper. 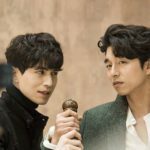 Eun Tak remains important to the narrative, and could even continue to be the Goblin’s Bride (more on that below). At age 19, she encounters both the Goblin who saved her as an unborn baby and unwittingly cursed her to see ghosts, and the Reaper who caught up with and lost her at age 9. This time around, Reaper and Goblin basically adopt her. After their cool dramatic hero walk through the mist and darkness saving her, of course. And its hilarious self-parody embedded below. Because c’mon, how “two dads trying to look cool in front of their teen daughter” are they right here? Eun Tak still lives with them; what’s changed is that the dynamic between her and Goblin (and Reaper) is only familial, not romantic. Now we even get extra angst for Reaper about turning in Special Case, because he’s begun to see her as a daughter. The world always needs more Lee El. She was luminous and mysterious and perfect in Goblin. Because shows with only one significant female character are the worst, Eun Tak will of course still have relationships with Sunny and Lee El’s Samshin Granny. The latter will kickstart the female-centric plot: she looks after Eun Tak just the same, and spurs her on to supernatural adventures (resolving grudges for ghosts is an easy starting point). Sunny’s still Eun Tak’s boss, she’s even still the reincarnated Kim Sun. Just ditch the loveline between her and Reaper, and let her continue to be suspicious that there’s a supernatural world around her. She ultimately clues into what’s going on, and goes on adventures with Eun Tak – after reaming into her big brother for having a high school student for a bride. The first episodes are basically the same. 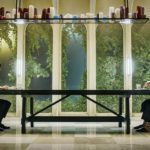 Same epic and tragic backstory for Kim Shin, same meeting with Reaper, same setup in the modern age. The only difference is that the narrative never pursues a romance between Kim Shin and Eun Tak. It could go either way with her being the Goblin’s Bride. She could still be his Bride, and now we have to navigate a thorny consent minefield. Kim Shin is rightly horrified that his “bride” is so young, and what’s more, that she’s known of and anticipated her role since childhood. 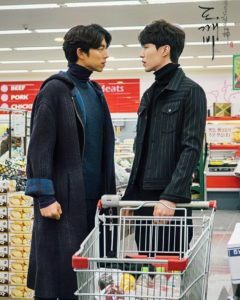 Everyone knows kdramas always use “grocery shopping together” scenes to indicate cute domestic fluff between the two leads. Things still play out the way they do in the show, but now the growing romantic tension is between Goblin and Reaper. 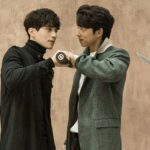 This leads to considerable angst for multiple reasons, one of which being the fact that Ji Eun Tak is still the “Goblin’s Bride.” Perhaps she can still remove the sword without being in a relationship with him. Whether or not she can and if their relationship is predestined, combined with the fact that Goblin’s feelings are beginning to lie with Reaper, can be a source of tension/conflict for the series. 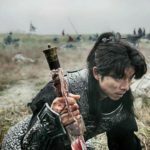 Of course, there’s the caveat never spoken aloud in the show: that Eun Tak can only remove the sword once she and Kim Shin are in love. That doesn’t seem too hard to surmount – maybe familial love is enough. If not, we can always play with more themes of destiny vs. free will. Maybe Ji Eun Tak is the Goblin’s Bride. But the Goblin doesn’t love her like that, nor she him. His returned feelings are with Reaper. And so at some point in the show, Reaper becomes the bride. Now he can see the sword, and he’s the one who can remove it. 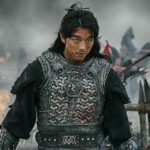 Then of course the other hammer drops: Reaper is Wang Yeo. That conflict can play out more or less the same, just with greater intensity due to romantic angst. We can keep our bittersweet ending. Reaper and Goblin live on, having to bury Eun Tak, Sunny, and Duk Hwa, but meeting them again in their next lives. Maybe Reaper’s time in his job comes to a close, and the show ends the same way it originally did: with the Goblin having to wait for his love to be reincarnated. There, I fixed Goblin for you, Kim Eun Sook. It’s easy for me to devolve into scorn of Goblin screenwriter Kim Eun Sook. Certainly my thoughts on her skill are more tepid than the current attitude towards her. But the fact that I can’t stop obsessing over what could have been means she has more talent than I want to admit. 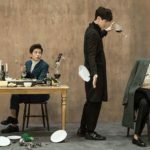 After all, if Goblin were just a middling drama, I wouldn’t care so much. But as loath as I am to admit it, Kim Eun Sook does have a magic spark. If only, in Goblin‘s case, it had flared for more than a moment. 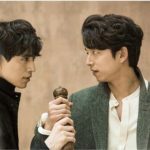 If you need more convincing, just check out a selection of stills from one of the most popular Goblin promo photo shoots (with some bonus Gong Yoo in his mane of glory, because I’m shallow). What do you think of my proposal for an alternate Goblin storyline? Love it? Hate it? Have suggestions? Leave them all below! 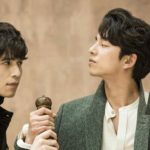 Lee Dong Wook and Gong Yoo even look like they’re trying not to laugh. I hardly need to spell it out, do I? I mean, what do I even say to this. This is basically a family food fight photoshoot. Bonus of their ridiculous adorable austere eating habits. And promised mane of glory.